A friend of mine from school is getting married this summer. She contacted me last week to possibly do her ketubah for her. Two years ago when I was working on my thesis project, a papercut book, she told me I should do ketubot and that I'll be doing hers when she'll be getting married. 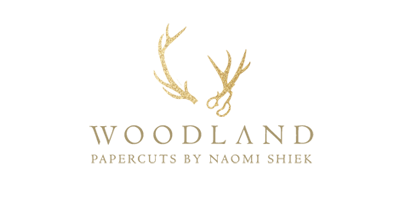 I didn't even consider going into the wedding stationery business before she mentioned it, so the credit for what I do now goes completely to her. 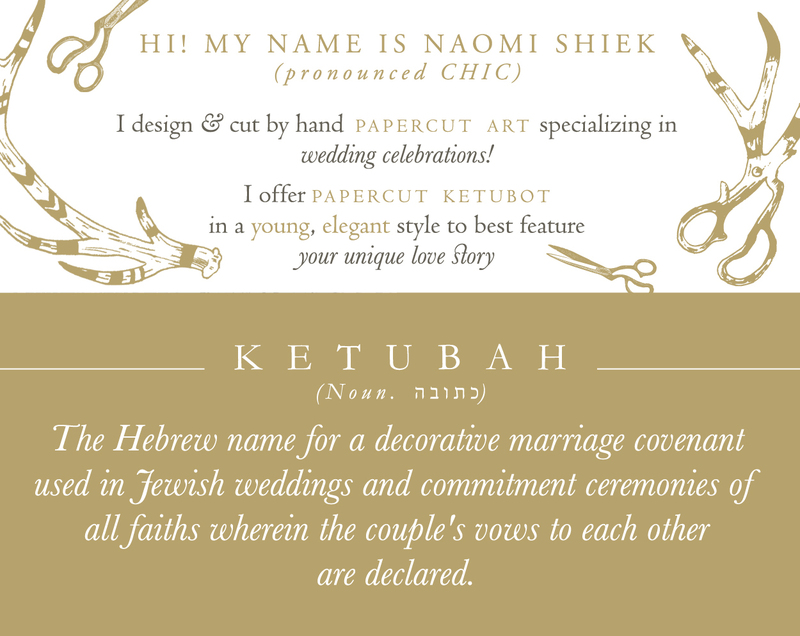 I never thought she meant it about making her a ketubah! I was so excited for her when she called I quickly mailed out this Save the Date card. 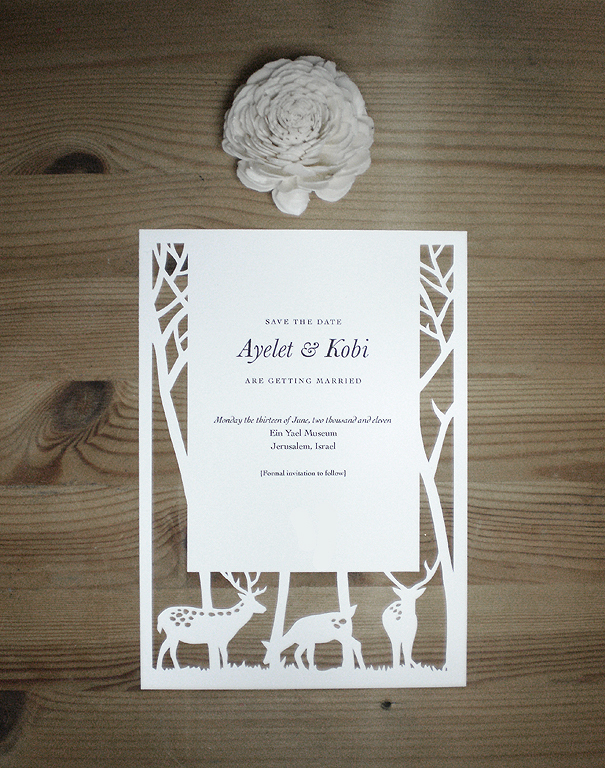 Congratulations Ayelet & Kobi! This is a gorgeous save the date card. What a great way to help share in all the excitement of a friend's wedding day!